CONVENORS & ASSISTANT CONVENORS OF THE CONVOCATIONS (Elected by members of the Convocations for a two-year term) ALTOONA: The Rev. Gene Tucker (2019) friartuck3@yahoo.com Rick Hoover (2020) rickhoover@aol.com HARRISBURG: The Rev. Rebecca Myers (2019) nativityrector87@gmail.com Mr. Anthony Alexander (2019) aca47@aol.com LANCASTER: The Rev. J. Patrick Peters (2020) jpp001@earthlink.net Elaine Austin (2020) ElaineA104@gmail.com NORTHERN TIER: The Rev. Janis Yskamp (2019) jyskamp@gmail.com Beth Rowland (2020) browland22401@gmail.com SOUTHERN: The Rev. Linda Watkins (Interim) rector@stmaryswaynesboro.org Ms. Carolyn Fouts (2019) secretary@gettysburgepiscopal.org SUSQUEHANNA: The Rev. Canon Paul Donecker allsaints@ptd.net Sandy Elion (2020) she1@ceinetworks.com WEST BRANCH: The Rev. Veronica Chappell (2019) vchappell1118@gmail.com Mr. Kyle Murphy (2019) kdpmurphy@gmail.com Altoona Convenor and Assistant Convenor The Rev. Gene Tucker (2020) friartuck3@yahoo.com Fr. Gene Tucker describes himself as being a “late bloomer” where ordained ministry is concerned. A retired U. S. Army Sergeant Major, he entered seminary following his retirement from the military and was ordained as deacon in 2004, and as priest in 2005. His first assignment was as the Assisting Priest in the Hale Team Ministry of the Diocese of Springfield (Illinois). He was Rector of Trinity Church, Mt. Vernon, Illinois, for seven years, and served as Interim Provost at the Cathedral Church of St. Paul, Springfield, Illinois for eight-and-a-half months. Fr. Tucker came to the Diocese of Central Pennsylvania in March, 2015, and currently serves as Rector of St. John’s Church in Huntingdon. He also serves the Diocese as a member of the Council of Trustees. He is married to the former Deborah Kinney, and enjoys spending time with his two daughters and their four children, all of whom live in the Baltimore, Maryland, area. His hobbies include bicycle riding, old fire engines, and trains (pray for his wife, please!). Rick Hoover (2020) rickhoover@aol.com Originally from York, Pennsylvania, Rick went to Penn State and never left State College. After finishing his Ph.D. in Solid State Science, Rick followed a two-part professional career. For the bulk of his career, he spent over twenty years in private industry as a consultant and then rising from programmer to president of a laboratory instrumentation company. At Penn State, his career progressed from student to researcher to visiting professor, retiring as a liaison between the university and small to mid-sized manufacturing companies in Pennsylvania. A percussionist, Rick has performed with various groups including small jazz combos, big bands, concert bands, and symphony orchestras throughout central Pennsylvania. He has also been in pit orchestras for over 100 musicals and operas. 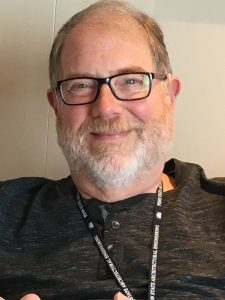 At St. Andrew’s in State College, he regularly serves as a Eucharistic minister, Eucharistic visitor, sub-deacon, worship leader, clerk of the vestry (ten years and counting), several terms on vestry, and as a diocesan convention delegate. With his wife, Linda, he is a co-mentor for the St. Andrew’s Education for Ministry (EfM) group and is also the diocesan coordinator for the program. Rick and his wife, Linda, have four grown children, six active grandsons, two dogs, two cats, and a turtle. Harrisburg Convenor and Assistant Convenor The Rev. Rebecca Myers (2019) nativityrector87@gmail.com The Rev. Rebecca S. Myers has lived most of her life in Central Pennsylvania. She grew up in Mechanicsburg and lived in Harrisburg for many years. She served on the Harrisburg School Board. She was received into The Episcopal Church when she lived in Washington DC. She was a member of the Washington National Cathedral Congregation and sang in a volunteer choir there. She attended The General Seminary in New York City and was ordained to the priesthood from The Diocese of Washington in July of 2013. Her first position was with the Diocese of Lexington (Kentucky). Currently, she is Rector of The Church of the Nativity and St. Stephen. She is on the Board for The Episcopal Home. Her passion is eliminating racism and she is on the Eliminating Racism Task Group. She is a member of the Newport Anti-Racism League. She has a Master of Social Work degree and her social work career involved managing nonprofit organizations. She has two children, Scot and Carrie. Scot is married to Leah and they have two children. Being a grandmother is the best! Mr. Anthony Alexander (2019) aca47@aol.com On four occasions I had the opportunity to serve as a delegate for General and Jurisdictional Conferences in the United Methodist Church. I served at the pleasure of those who elected me and I took that responsibility seriously. I have been called to a ministry of reconciliation – to sensitize and to be a presence among people who have had virtually no contact with racial ethics. I saw myself in the role of Pastor as one who empowered laity to obtain the vision in ministry that God has given them. I view myself as a laid back individual that has gone through tremendous changes from being a gang member to becoming a real captive of the Lord. I struggle daily to give up my ego to the will of God … being pastor meant that I must become a servant leader. I have been attending St. Stephen’s Cathedral for about ten years; I was confirmed as a member of St. Stephen’s Cathedral and the Episcopal Church about two and a half years ago. I serve on the Vestry and as Chalice Bearer. I also serve on the Council of Trustees of the Episcopal Diocese of Central Pennsylvania as well as the Union of Black Episcopalians, Bishop Nathan D. Baxter Chapter. My encouragement and endorsement in the role of servant leader was gained through my understanding and interpretation of the first part of the book of Acts. In the book of Acts, Christians were a truly inclusive community empowering and strengthening one another to follow the leadership and movement of the Holy Spirit. As part of my spiritual journey, I served as an adjunct at Messiah College teaching a course on the Spirituality of African Americans, and I taught for three years as adjunct at Lancaster Theological Seminary teaching a course on Homiletics. My wife, Lenore, former director of the United Methodist Neighborhood Center in Harrisburg, is the founder of Grace Unlimited, a ministry to ex-offenders. Since the death of our daughter Maria, in October of 1995, Lenore and I adopted her three children, Shalamar, Darun, and Ciara. And upon the death of Shalamar in 2015 we have gained custody of her two children. Family is important to me and I make time for family, especially because of the role I feel led to play in the lives of our chosen family. Lancaster Convenor and Assistant Convenor The Rev. 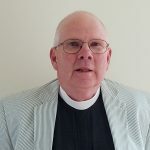 J. Patrick Peters (2019) jpp001@earthlink.net Father Patrick Peters was ordained in 1975 and currently is Rector of Saint Paul Episcopal Church, Columbia. He is also the Ecumenical Officer for the Diocese. He is married to Danielle and has four grown children and four grandchildren. Elain Austin (2020) ElaineA104@gmail.com Photo and bio to follow. Northern Tier Convenor and Assistant Convenor The Rev. Janis Yskamp (2018) jyskamp@gmail.com Rector, All Saints Brookland and Christ Church Coudersport Episcopal Congregations of Potter County Janis and her husband, Wayne, live in Mansfield, PA. They have three grown sons, Wayne (Becky), James and Bradford (Michelle), and two grandchildren, Madison and William. Ms. Beth Rowland (2020) browland22401@gmail.com Photo and bio to follow. Southern Assistant Convenor & Assistant Convenor The Rev. Linda Watkins rector@stmaryswaynesboro.org Ms. Carolyn Fouts (2019) secretary@gettysburgepiscopal.org Carolyn Fouts, a member of The Memorial Church of the Prince of Peace, Gettysburg, comes to the Diocese of Central Pennsylvania from the Diocese of Vermont. A retired C.P.A., Carolyn was active in parish and diocesan activities for nearly forty years in Vermont. 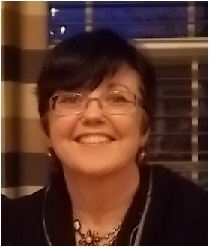 She currently serves as Parish Administrator at Prince of Peace and continues to be involved in many activities within the parish, including choir, altar guild, EfM, Eucharistic Minister, and Eucharistic Visitor. Carolyn and her husband Jim have been married for forty-seven years, have two adult children and four grandchildren. They enjoy traveling and their new Goldendoodle, Theo. Susquehanna Interim Convenor and Assistant Convenor The Rev. Canon Paul Donecker allsaints@ptd.net Sandy Elion (2020) she1@ceinetworks.com Photo and bio to follow. West Branch Current Convenor and Assistant Convenor The Rev. Veronica Chappell (2019) vchappell1118@gmail.com I will have been married to Dan for 40 years. Our daughter Kate is 32, and is an OR nurse. We moved to Cogan Station 29 years ago; Dan retired just last year, and our beautiful property keeps him busy full-time. I was raised just north of Philadelphia, went to Catholic schools and Temple University. I was ordained deacon by Bishop Creighton in 2000, and served as deacon at Trinity Williamsport, St. Matthews, Sunbury and St. Mark’s Northumberland, and with GLEAM. After a few years, I discerned that my true call is to the priesthood, and attended the Lutheran Seminary at Philadelphia. I was called as rector to Trinity Jersey Shore before my final year of seminary, and have been there 11 years now. I am now also rector of Christ Church in Williamsport, in partnership with Lay Pastor Kyle Murphy, as he continues his process toward priesthood. Mr. Kyle Murphy (2019) kdpmurphy@gmail.com I am a Pennsylvania boy at heart. I was born and raised in Scranton, graduated from Lock Haven University in 2006 and moved to Williamsport that same year. I did my undergraduate work in Secondary Education and have taught high school French for nine years. 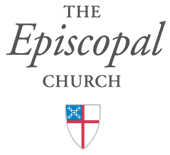 Currently, I serve as the Lay Pastor at Christ Episcopal Church. I am a candidate preparing for ordination to the Priesthood through the Stevenson School. I am humbled and grateful to serve in these capacities and work together to build the Kingdom of God in our diocese.